To better serve customers, financial institutions in Sub-Saharan Africa are increasingly using digital learning to develop staff capacity. Creating effective partnerships with training service providers, technology partners and market facilitators, such as Gateway Academy, can achieve more than individual organizations working alone. In this webinar, panelists from Fidelity Bank (Ghana), CGAP, and Gateway Academy discussed topics such as driving forces fueling the demand for digital learning in financial institutions and lessons learned from partnership efforts between Gateway Academy and Fidelity Bank. This webinar is the second in the “Partners in Development” series. Each webinar showcases different Gateway Academy partners powering the digital learning marketplace. Kwaku Aboagye Acquaah is a Senior Human Resources professional at Fidelity Bank Ghana Limited. In this role, he leads the design and implementation of learning strategies and interventions, and has introduced blended learning, including the Fidelity Academè (E-learning platform) and the Fidelity Certified People Manager program. Kwaku brings over 12 years generalist and specialist experience across learning and performance, talent and succession management, career development, employee engagement, industrial relations, resourcing, graduate management, shared services etc. Kwaku is a member of the Institute of Human Resources Management Practitioners Ghana (IHRMP-GH) and currently pursuing a postgraduate degree in Development Finance at the University of Ghana. 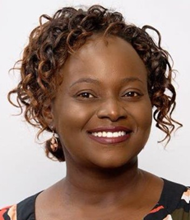 In her role as Operations Officer for the Gateway Academy, Josephine Kibe is responsible for the market development of the Gateway Academy and for reaching out to financial service providers using the online learning platform. Previously, Josephine was an educator with Strathmore Business College in Nairobi and also worked in the Kenyan banking industry. 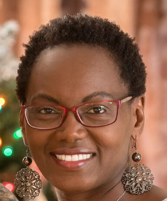 Josephine has a PhD in Economics from Fordham University and an undergraduate degree from Kenyatta University in Nairobi. Penina Lam is a consultant at CGAP. Her expertise lies in Organizational Development (OD), and knowledge management. Penina is the founder of eLearning Innovators, a leading provider of digital learning design, learning events, and soft-skills training solutions. She helps organizations to design, develop, and deliver customized professional development interventions. She has held senior leadership roles in corporate and academic settings guiding organizations seeking to start, scale, and sustain learning and performance improvement initiatives. She holds a Ph.D. in Educational Leadership & OD from the University of Louisville, USA.